Dr. Jack Stockwell - How Does Your Immune System Work? 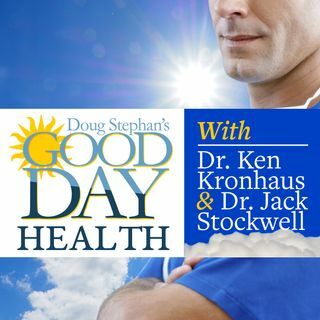 Host Doug Stephan and Dr. Jack Stockwell http://www.forbiddendoctor.com explain how your Immune System works and how to make it stronger. More and more people are taking three or more Prescription Drugs and how their interactions may affect depression. Next, Dr. Jack explains the values of Wild Alaskan Salmon and what happens when you prepare it on Aluminum Foil. Do you know why Aluminum is used in Vaccines? Cleaning your Barbecue Grill the wrong way could have serious effects on your health. ... See More Finally, don't let the information you receive from home DNA Testing upset you too much. Genetics only controls 2 to 3% of our lives.